Fatigue and exhaustion are common health complaints, no doubt due to the busy and stressful lifestyles of today. When you feel like you’ve overdone it, it is important to take time out to de-stress and recharge your batteries, but what can you do when you need a pick-me-up to get you through the day? When most people think of aromatherapy, the first thing that probably springs to mind is calming, relaxing essential oils such as lavender or chamomile. But there are lots of essential oils that have the opposite effect and actually help to clear the head and leave you feeling invigorated, energised and refreshed. A study(1) was done to determine the effectiveness of a mixture of essential oils (peppermint, basil and helichrysum) on mental exhaustion, or moderate burnout (ME/MB) using a personal inhaler. Participants were randomized to receive a personal inhaler containing either a mixture of essential oils or rose water. While both groups had a reduction in perception of ME/MB, the aromatherapy group had a much greater reduction, suggesting that inhaling essential oils may reduce the perceived level of mental fatigue/burnout. As well as peppermint, basil and helichrysum, other oils that may help to relieve fatigue include rosemary, lime, ginger, grapefruit, thyme, eucalyptus, pine, cinnamon and lemongrass. 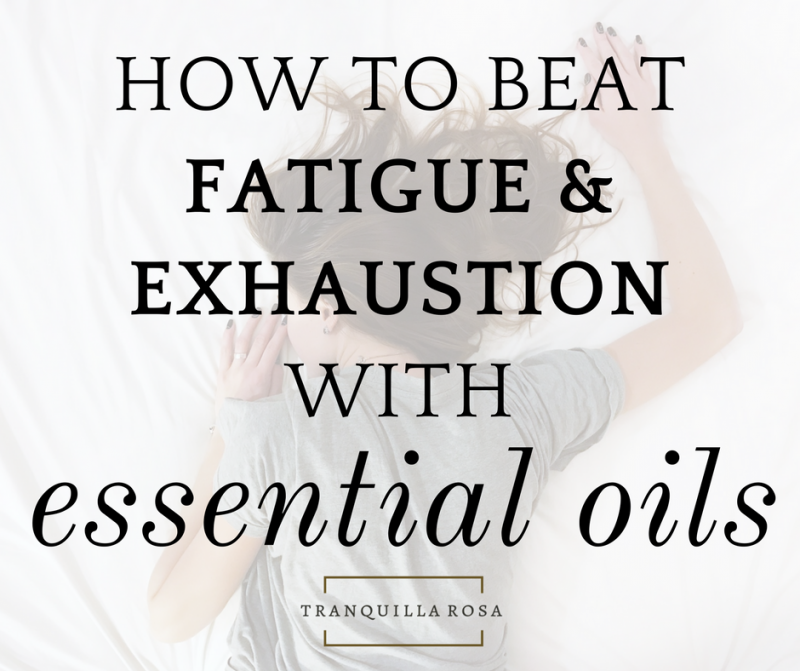 There are several ways in which to use essential oils to help relieve fatigue and exhaustion. A few drops of an energising oil (or a blend of oils) added to an oil burner is a great option for when you need to stay focused at work. Another option would be to add a few drops to your morning bath or shower to leave you feeling refreshed and ready for the day ahead. If you want to feel de-stressed but energised as well, an aromatherapy massage is the perfect way to take some time out from the stresses of everyday life. If you need a boost whilst out and about, applying a rollerball blend or wearing a piece of aromatherapy jewellery containing invigorating essential oils is ideal. (1) Varney E, Buckle J, Effect of inhaled essential oils on mental exhaustion and moderate burnout: a small pilot study, J Altern Complement Med. 2013 Jan;19(1):69-71.